Jamie & Fraser chose the beautiful Twin Waters Novotel here on the Sunshine Coast for their wedding. With getting ready, the ceremony and the reception all in the one place it made for a beautiful day with just a few photos at the nearby beach and woods for a detour. Other suppliers for their day were Jay Flood celebrant, Willow Bud Flowers, Evalyn Parsons Hair, Makeup By Lyne Jana. One of the most remarkable weddings I have photographed to date was Dom & Anthony's Noosa wedding held at the Waterfront Restaurant here on the Sunshine Coast. These two beautiful people had planned this day down to a tee with fine foods and wines and good times from late morning and throughout the day. There was just one problem - the weather didn't play ball, however, that didn't stop these two. Dom arrived in the rain without an umbrella and lit the morning with her gorgeous smile - they carried on with their plans and to heck with the consequences. Check out this beautiful day below and also Dom's dress, which could've had it's own blog post all by itself. 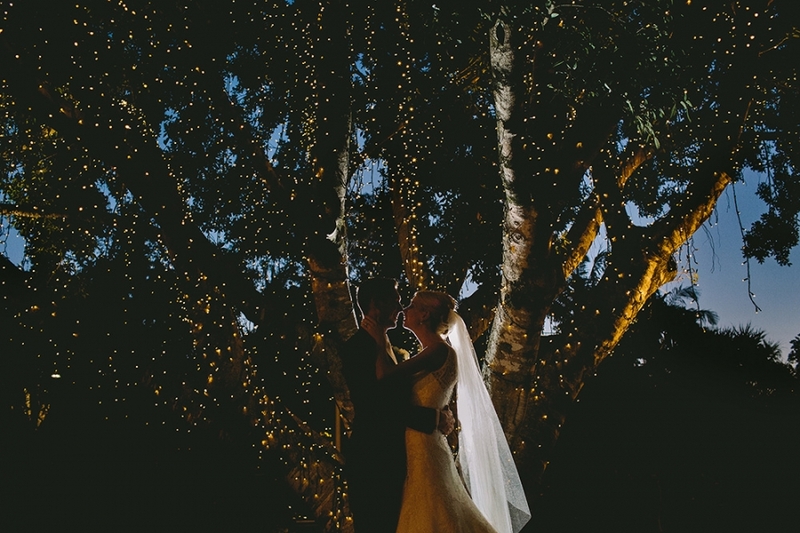 Check out Hayley and Alex's Noosa wedding. 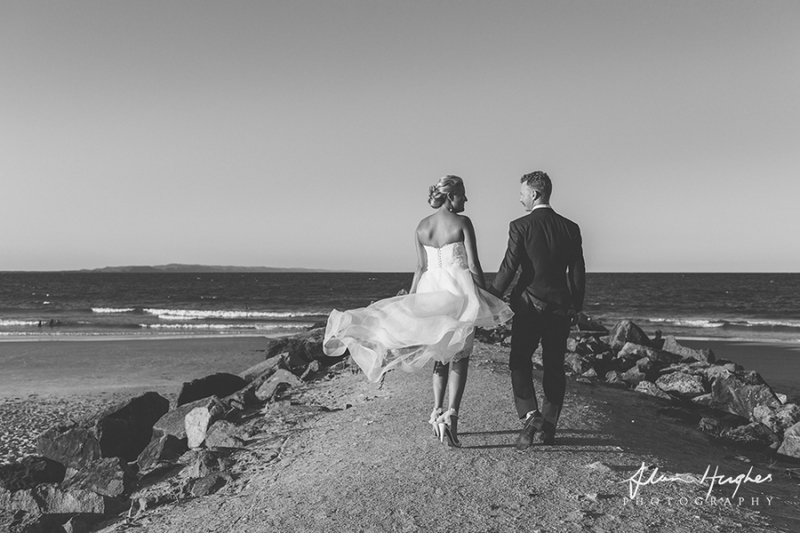 Their stunning Noosa wedding near the beach and reception at Ricky's Noosa Restaurant with their family and friends was such a fun day, I was felt so lucky to be the one to capture it all for them. 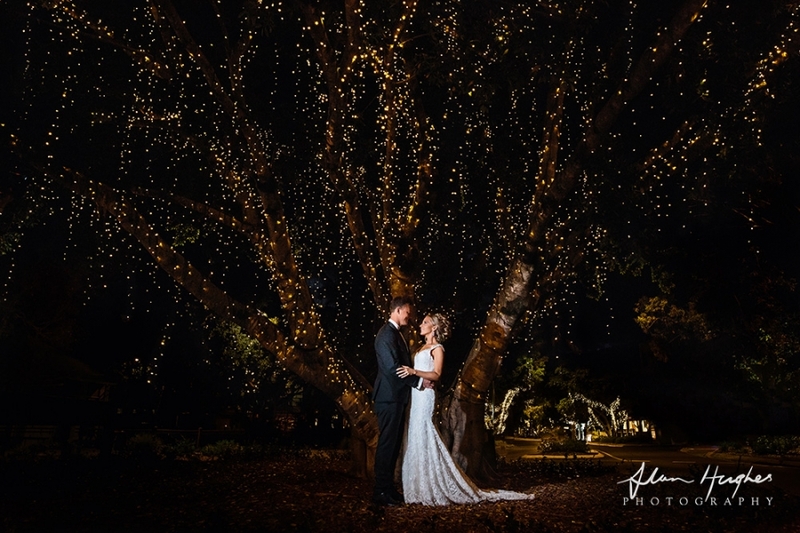 Their awesome suppliers included: Jarrad Bayliss Celebrant, Willow Bud Florist, First Class Functions decorators, Nat Hunter Makeup Artist & Rickys. Just a beautiful wedding with some awesome human beings! 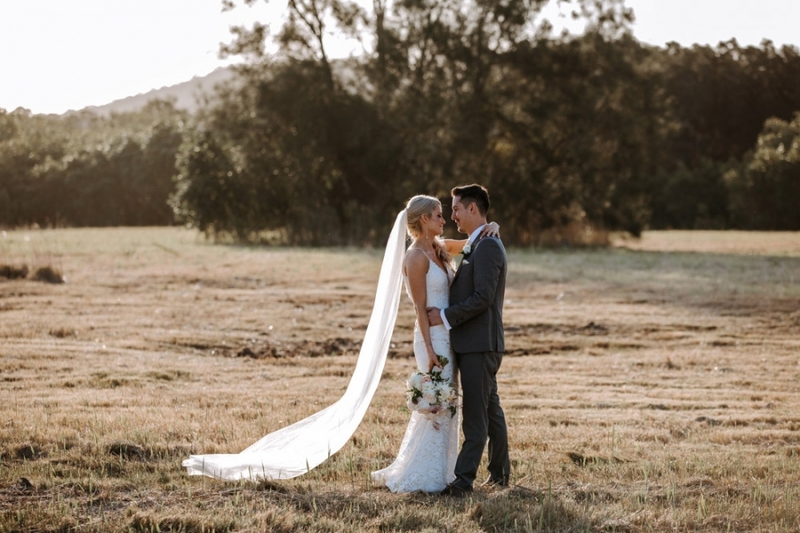 Marnie-Ann and Ryan were married at Spicers Clovelly in Montville here on the beautiful Sunshine Coast surrounded by the love of their friends and family. It was pure joy and I was so lucky to be there to capture it all for them. For starters they had a total of 14 in their bridal party and while it's probably on the limit I would say they made it pretty much a party and celebration from the get go! 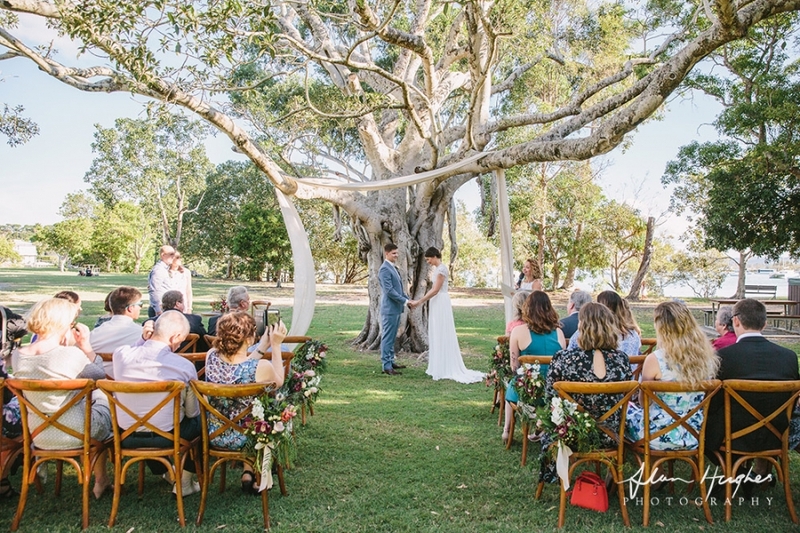 The wedding ceremony was at Hidden grove with celebrant Trudy McGee, amazing styling and florals by First Class Functions. Transported here and there by Scott and the cool Old Skool Kombi. Then onto one of Noosa's finest places for the reception - Sails Restaurant, immaculately run by Steff and the staff there. 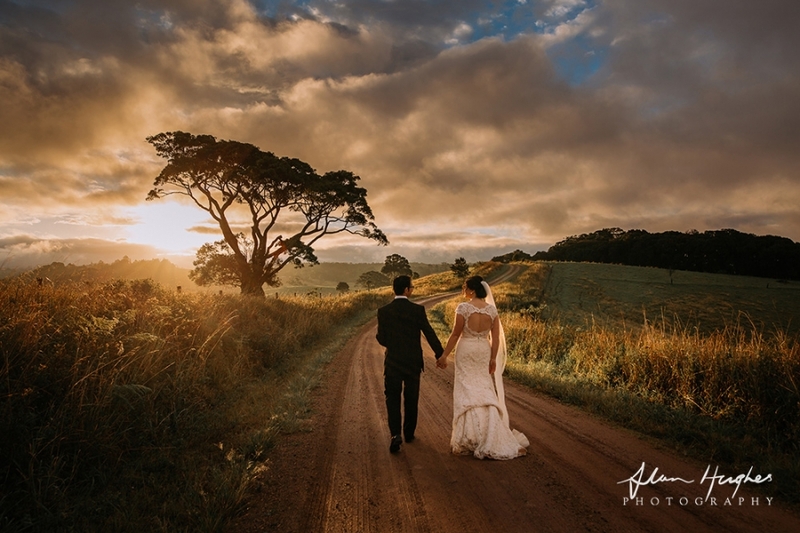 Kate and Chad had a stunning day at Maleny Retreat where they married with the beautiful mountains as their back drop and amongst their nearest and dearest. It was a fun day to be involved in with pretty most of the photography within a short distance of the ceremony / reception area. Several top notch wedding suppliers involved too which made the day run smoothly. Celebrant - Suzanne Riley, styling by Lovebirds, reception by Tipi-Luxe, hair and makeup by Harpier Beauty, flowers by Mondo and Kombi - Deluxe Kombi Services. 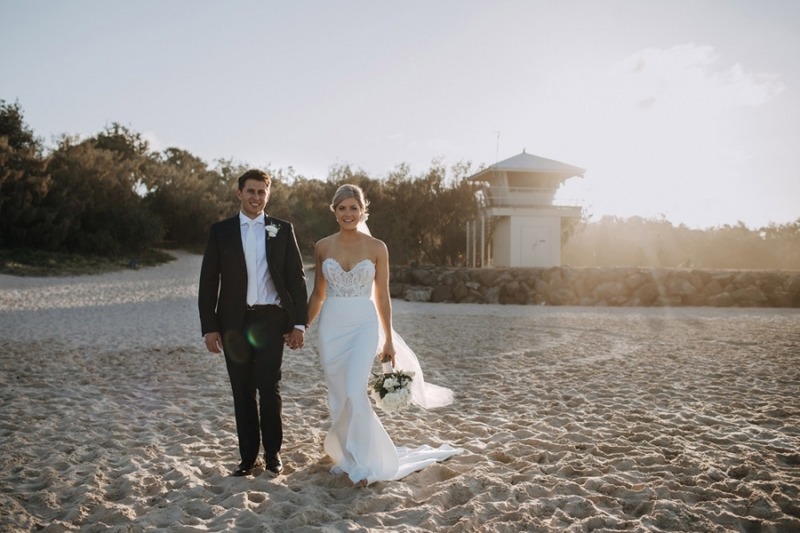 Cristin & Dean wedding in Noosa was such a stunning affair - elegant styling and detail throughout the day setting the scene for these two to tie the knot right next to the famous Noosa Main Beach. You can't tell from the photography that much but let me tell you whilst it was a stunning Sunshine Coast day, the wind was blowing pretty hard off the ocean - especially during the ceremony. This, however, didn't really affect anything one bit as these two only had eyes for each other. With the flowers (check out the bouquets!!) and styling by First Class Function, celebrant was Aubrey Cannon, transport by Old Skool Kombis and the reception at Noosa's Waterfront Restaurant - the whole day was just perfection, these guys even got a friendly wave from a passing whale! You'll notice in nearly all the images below that Hollie just can't stop smiling. 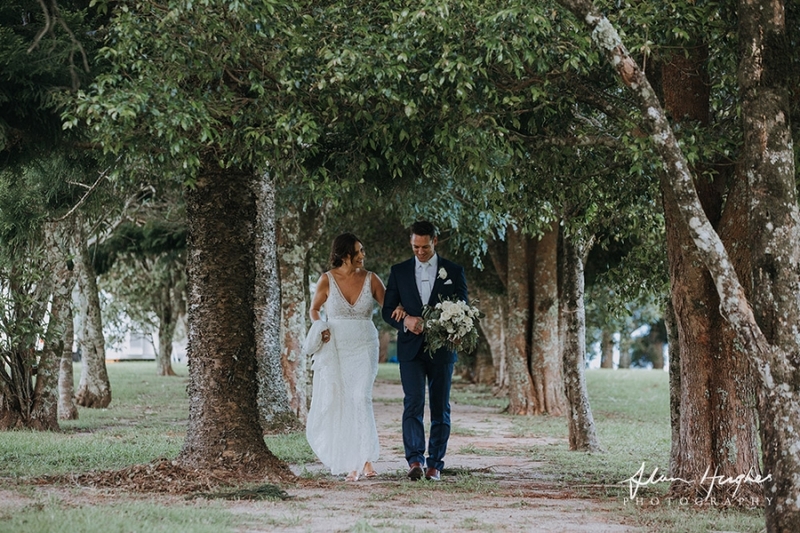 Her wedding to Troy at Yandina Station - one of the Sunshine Coast's finest wedding venue, was a stunning winter wedding with beautiful styling and lots of laughter. A lot of thought had gone into making the day flow in a relaxed and fun manner which pretty much sums these two up! And one thing I like (and encourage!) is that they didn't just disappear for photos straight after the ceremony - they hung out with their guests, chatting and enjoying the canapes and a refreshing champers in the sunshine..
A real top list of the Sunshine Coast's finest wedding suppliers were there helping the day run smoothly. The celebrant was the lovely Mary Bruce, music throughout the day was by the awesome Love Note duo, flowers by Heavenly Blooms with makeup by Lauren. 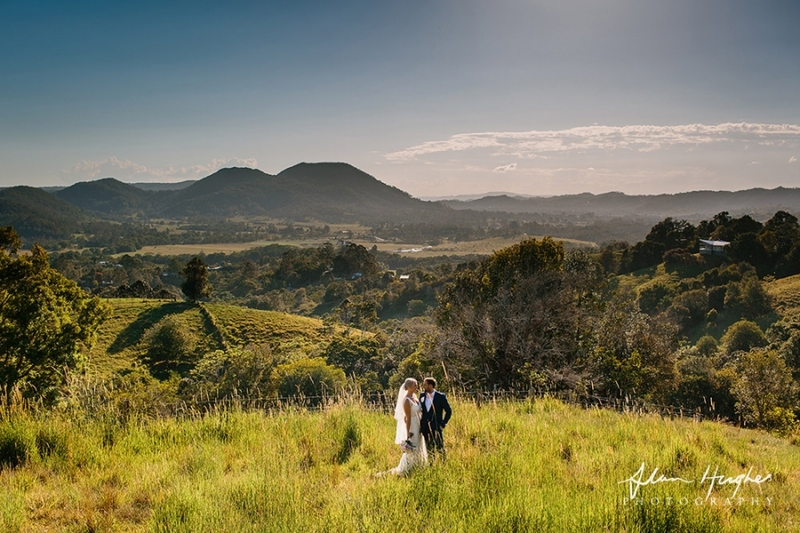 These guys chose Maleny for a good reason - for the beautiful scenery and vistas that come with this Sunshine Coast Hinterland region. Well on the day I can tell there was a hint of initial disappointment from Fran & Brent when we were enveloped in a blanket of cloud and fog and the odd rainy moment. As a photographer it was like a wonderland! The mist & fog created scenery like no other and these guys took it in their stride (check out the bottom of Fran's dress!) and embraced what was thrown at them. The ceremony was in the cloud, the landscape was in the clouds BUT for one brief 5 minute spell at sunset this something amazing happened - the clouds inexplicably disappeared to provide us with a backdrop that was just from heaven, then just as quickly the fog rolled back in for the rest of the day. The splash of orange in the bouquets and boys outfits were just perfect as they popped out of the greyness, the stunning florals by Willow Bud were the perfect oasis in the mist. All the hard work setting up the day at the beautiful Half Moon Hideaway just made this a wedding to remember. Even the officiant Father Chukwudy sang these two a love song as part of their wedding ceremony! Hair by the recently voted QLD No. 1 Evelyn Parsons, makeup by Natalie Hunter, catering by the Canape Project. 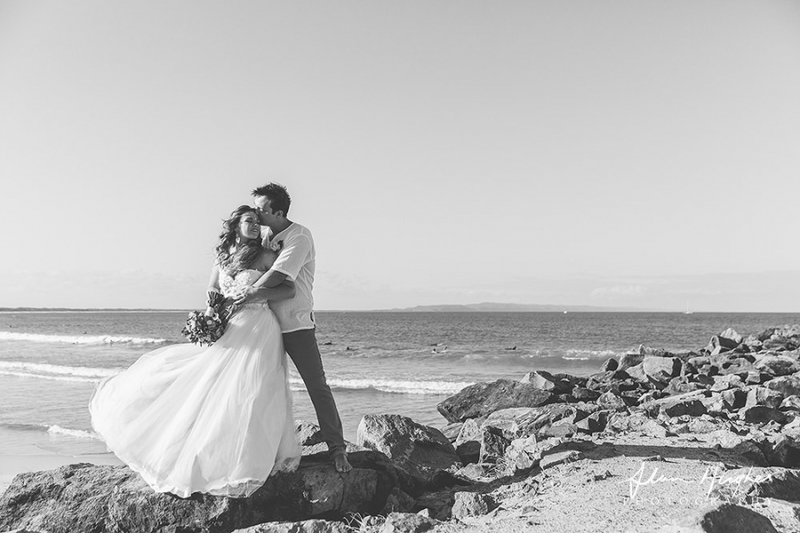 Pamela & Nathan's Noosa wedding can only be described as stunning! 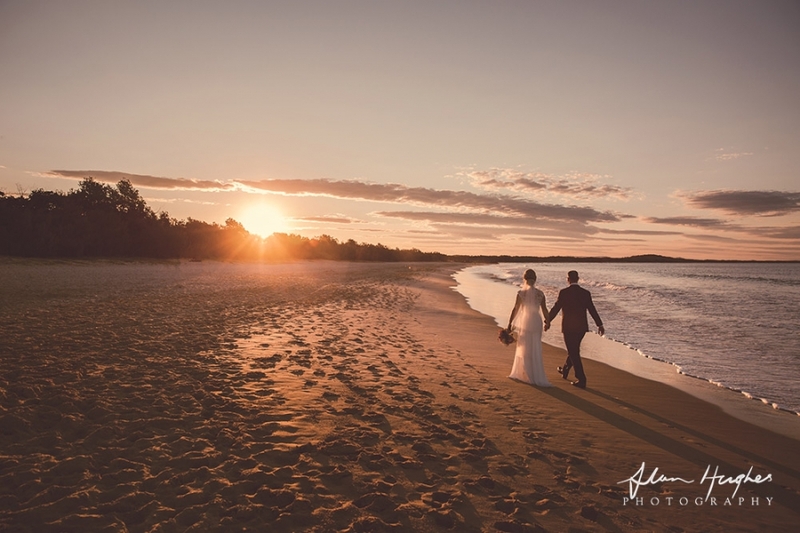 All the elements combined to make the day perfect, from the gorgeous Sunshine Coast weather to the local Noosa suppliers' professionalism and friendliness. I started the day by catching up with the boys getting ready in a Hastings Street apartment overlooking the famous beach and then onto Pamela and the girls at a house not far away. 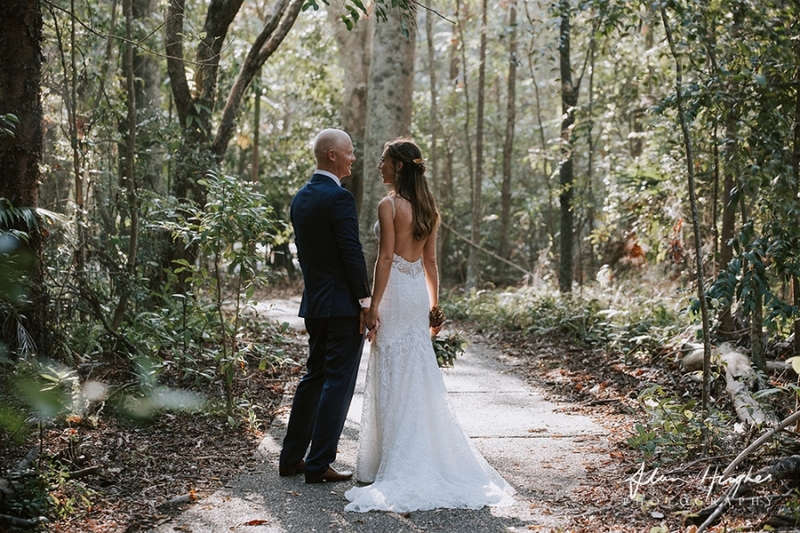 The ceremony was at Hidden Grove overlooking the Noosa Main beach and then onto the reception at The Boathouse with a fireworks entrance for the bride and groom. It was truly a pleasure capturing and being a part their day. The A-list of Noosa suppliers were: Hair by Evelyn Parsons, Makeup by Melina Dee, celebrant was Jarrad Bayliss, flowers and decor by First Class Functions, limo by DC Limos, music by LoveNote Music, fireworks by KCS Firworks and cake by Sweetness Contained. I know I say this alot, but weddings are a real pleasure to photograph and Holly & Woody's Noosa wedding was absolutely no exception. 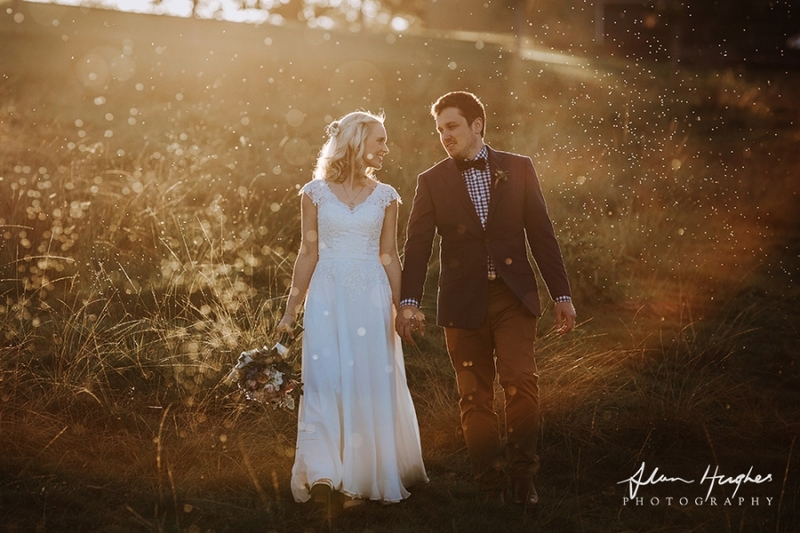 Their Sunshine Coast wedding was probably one of the most fun and relaxed day ever - these two humans had a beautiful connection not only with each other, but also with their friends and family. It was awesome to be a part of and I thank them and their guests for making me feel part of the day. They got ready at Las Rias (Quamby Place) in adjoining rooms, so I kept popping backwards and forwards as they got ready and even got a photo of them both together without them seeing each other before the ceremony. 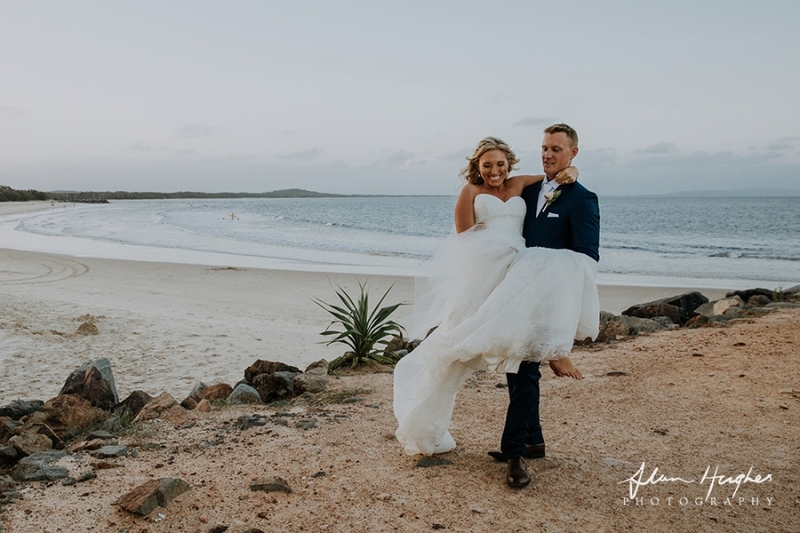 Their wedding reception was at Hidden Grove on Noosa Main Beach by celebrant Jay Flood with the sound of the waves in the background and then after some photos they took the ferry to one of Noosa's finest - Rickys Restaurant, for their wedding reception and to party on. The flowers and styling was provided by the ever impressive Twig & Grace and music for the day was by the awesome Hamilton. 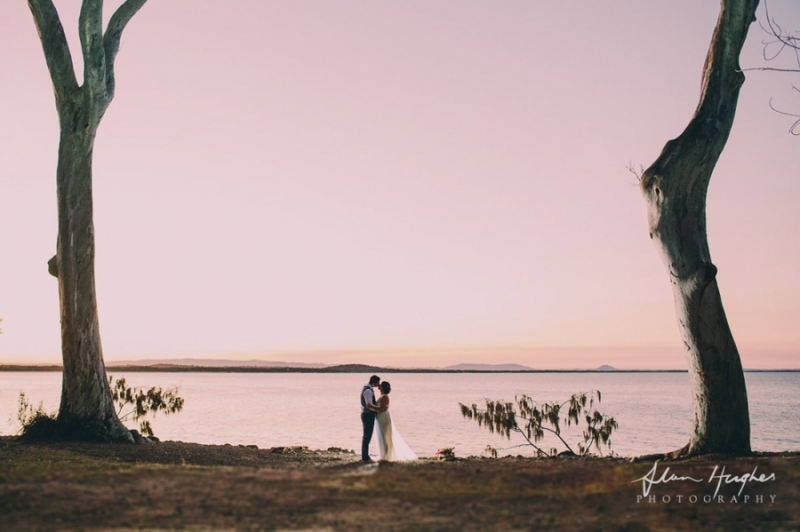 Jade & Igor chose the newly opened up Casuarina Gardens (they chopped a tree down for a better outlook) with the stunning view of Noosa Main Beach for their wedding. 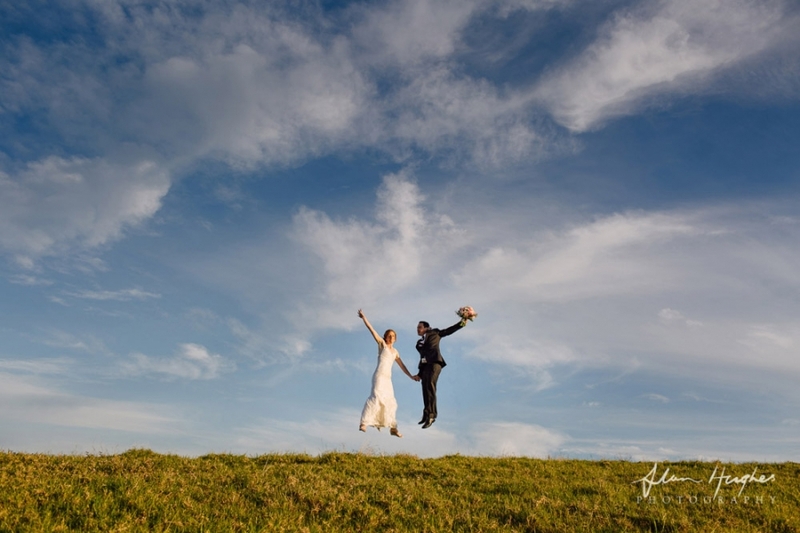 I loved the happiness of this day, the joy, the love and the carefree and relaxed nature - typical of a Sunshine Coast wedding. They wanted their wedding photography and images to reflect this and being as that is what I'm all about, it was perfect for me and I had a blast with these guys. These are just a few of the images to give a snapshot of their day. 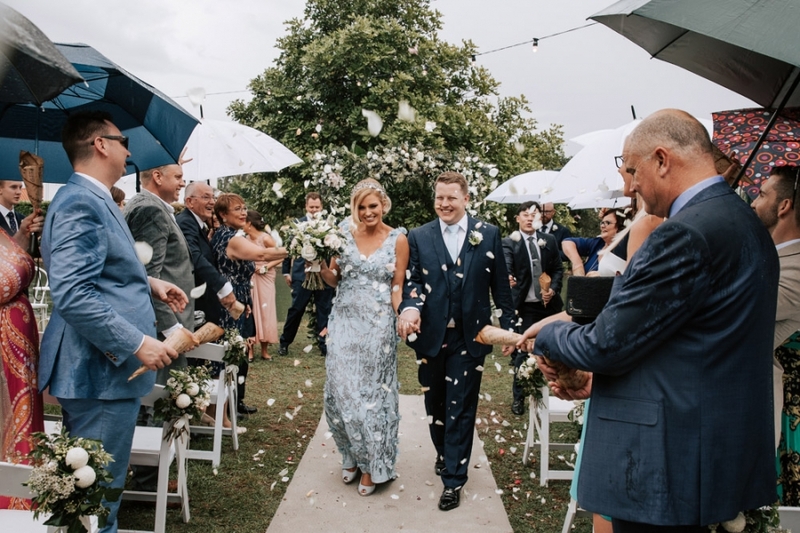 This wedding had everything I love about weddings - first of all two people in love, secondly their family and friends were awesome and thirdly they embraced the Sunshine Coast and Noosa vibe to a T by by just having fun all day. Every part of the wedding was thought out and planned down to the finer details with the following people - decorators & flowers Twig & Grace, celebrant Jarrad Bayliss, Vicki from Silk Hair & makeup, Deluxe Kombi Services, music at the ceremony and reception by Paper Flowers, cake by Sweetness Contained with the reception at Sails Restaurant. 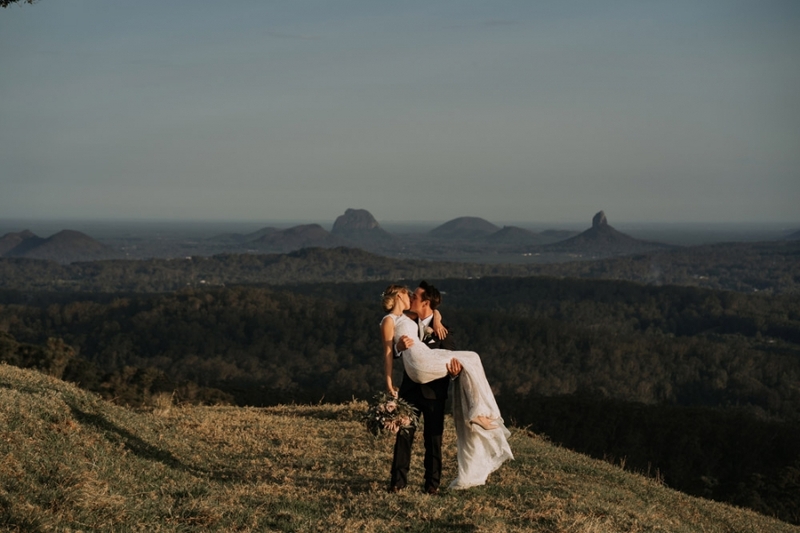 Leigh and Claire had organied and styled a beautiful Maleny wedding at the The Old Dairy with the stunning Sunshine Coast hinterland as the backdrop. All the details were meticulously taken care of - from the impressive list of wedding vendors down to the 400 or so hand made blue hearts at the ceremony. Leigh got ready at his parent's houes and Claire at her parents' house meaning that even they were personal to them aswell. The suppliers who helped along the way are: Sally Thownsend makeup, Coastal Style Mobile Hairdressing, Stephanie Leigh Ceremonies, The Old Dairy Maleny, Mondo Floral Designs, Reimcakes, The Ebb Restaurant and dressmakers When Freddie Met Lilly. I learned a few new things at Sam & Jamie-Lee's wedding - well some new things and some things I knew already but were reinforced. 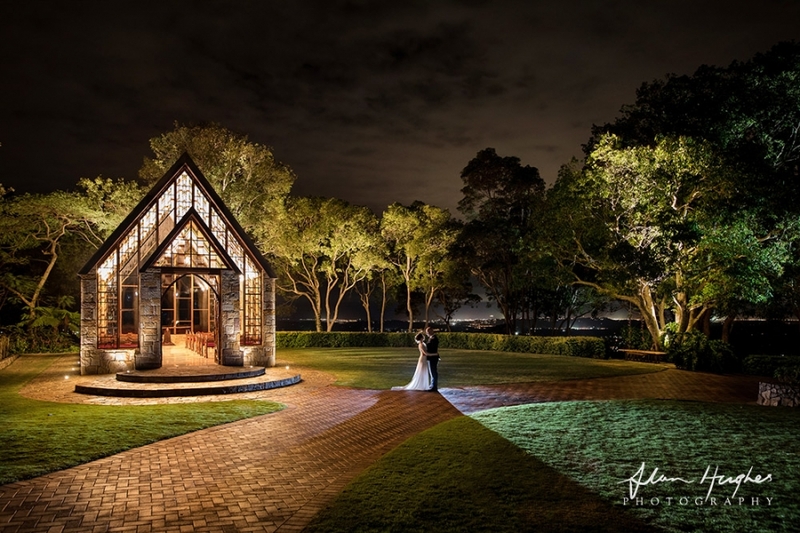 These guys got married at the stunning Annabella Wedding Chapel in Ilkley before heading to Noosa to party on at the Riverdeck on the Noosa Marina. I had a real blast capturing this special day and can only be greatful for having wonderful bride and grooms to work with, especially when their family and friends make me feel part like I've known them for years too. A perfect stunning Noosa wedding - that is what I would describe Nicole & Rowan's wedding as :) They both got ready in houses on the Noosa waterways, ceremony next to Noosa beach at Maison La Plage and after the bridal party shenanigans they hopped in the Noosa Dreamboat and sailed off to Rickys Restaurant for the reception! Along with awesome colour schemes in their stunning bouquets...and even though i am a bloke I can totally be impressed by Nicole's dress with gorgeous lace upper bodice. Hair & makeup by Vicki from Silk, celebrant Natalie Skye, flowers by Redlands Fresh Flowers, river transport by Noosa Dreamboats, dress by Karen Willis Holmes and reception at Rickys. 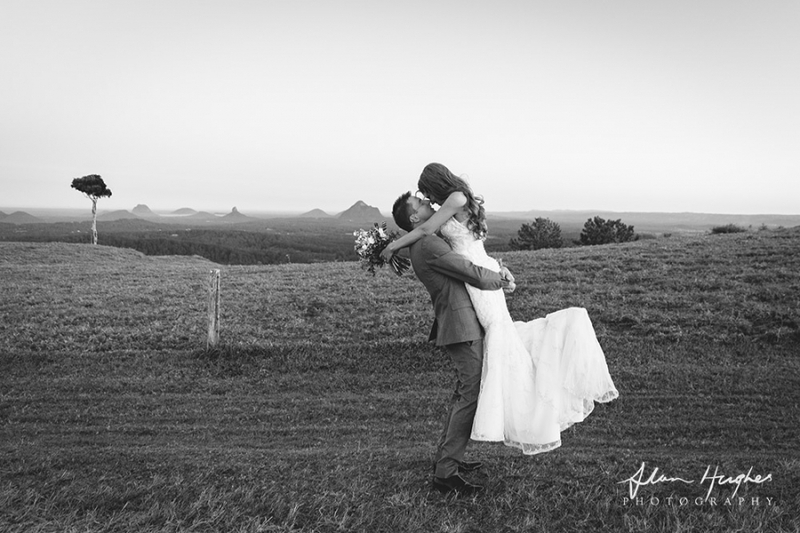 Spicers Clovelly Montville stunning wedding of Sherren & Stewart, bridal party photos at the iconic One Tree Hill, Maleny.